AIA Guide to New York City: Fourth Edition. New York Chapter/American Institute of Architects. By Norval White and Elliot Willensky. Three Rivers, 1,056 pages, $37.50, paperback. No urban guidebook has brought more joy to my life than the American Institute of Architects’ AIA Guide to New York City, my indispensable companion when I lived in New York. This modern classic is the definitive street-by-street and building-by-building guide to the five boroughs, illustrated with thousands of clear postage-stamp–sized black-and-white photographs. Last revised during the Giuliani administration, the AIA Guide to New York City has some out-of-date material. But it hardly matters when it has so much that you can’t find anywhere else in such a compact and appealing form. The Michelin Green Guide to New York City is better for tourists and new residents who want a guide to the city’s landmarks. But if you say “wait on line” instead of “wait in line” and wouldn’t dream of referring to Sixth Avenue as “Avenue of the Americas,” this is your book. Worst line: Some of us will forever miss a few of the vanished factoids of the first edition. Among them: the egg cream – a drink that used to be as much of a New York culinary staple as the Coney Island hot dog – contains neither egg nor cream. Recommendation? A great gift for anybody who loves art, architecture, antiques or history as much as New York City. Furthermore: There are AIA Guides of varying quality to other major cities, including Atlanta, Boston, Chicago, Washington, D.C., and Minneapolis and St. Paul. The AIA Guide to New York City is the gold standard in the field. Links: New York Times article on the making of the AIA Guide to New York City query.nytimes.com/gst/fullpage.html?res=9407E3D61638F931A1575BC0A96F958260; Michelin Green Guide to New York City www.langenscheidt.com/catalog/product_info.php?products_id=3184. Skyscraper. By Lynn Curlee. Simon & Schuster/Atheneum, 40 pp., $17.99. Ages 8-12. Lately I’ve been looking into some of the potential candidates for the Newbery and Caldecott medals that the American Library Association www.ala.org will hand out in January. As usual, it’s been both inspiring and disheartening. Some publishers are clearly putting enormous care into turning out wonderful children’s books. At the same time, they are continuing to pander nakedly to the all-important school and library markets, sometimes undermining the accuracy or credibility of an otherwise worthy book. 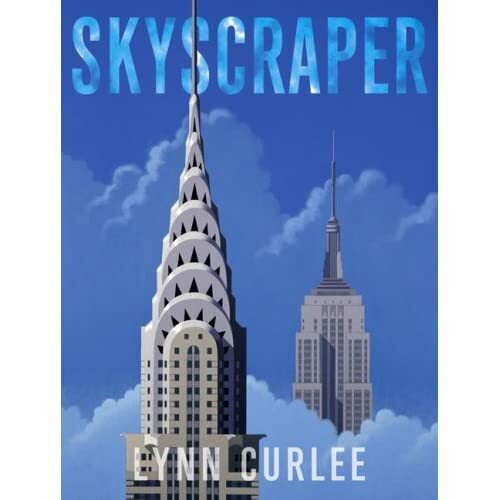 A recent casualty is Lynn Curlee’s Skyscraper, a beautifully produced social history of the world’s tallest buildings, which has an elegant Art Deco design and color palette. This book might seem to have little in common with Brian Selznick’s novel in words and pictures, The Invention of Hugo Cabret. But like Selznick, Curlee has created a book for 8-to-12-year-olds that plays successfully with form. Skyscraper is a picture book with chapters (though they aren’t identified as such but are introduced by quotations from famous architects such as I.M. Pei and Robert Venturi). A typical spread consists of a right-hand page with a color illustration of a skyscraper and a left-hand page with at least 250 words of text, more than in many chapter books. It’s a fresh treatment of its subject that brims with interesting material. Did you know that the Flatiron Building on Fifth Avenue, “the first great New York skyscraper,” looks like “the prow of a ship steaming up the avenue”? That might have been fine if the book had also mentioned a few of the other ethnic groups who worked on the first skyscrapers in far greater numbers than Native Americas, such as the Italian stonemasons who learned their trade in their homeland before applying their skills in America. It doesn’t. And through such omissions, this book insults the many Italian and other immigants who risked their lives to create the glorious skylines of Chicago, New York and other cities early in the 20th century. The message it sends to their young descendants is clear: “Your ancestors’ contributions aren’t as interesting or important as those of Native Americans.” But why would the Mohawks’ famous skywalking be less interesting to 9-year-olds than work on the great stone gargoyles that adorn so many skyscrapers? It gets worse when Curlee describes the events of Sept. 11, 2001. On that day, he says, “a band of radical terrorists hijacked commercial airliners and attacked the United States, using the comandeered aircraft as lethal guided missiles.” That “radical terrorists” is absurd on two counts. First, the word “radical” tells you nothing — in a sense, every terrorist act is “radical.” And in the case of Sept. 11, the terrorists were the opposite of the usual definition of a “radical” — they were Islamic fundamentalists or reactionaries. Why doesn’t Skyscraper say this? Apparently because to do so might have offended some Muslims and made the book a tougher sell to schools and libraries. Instead we have a book that could leave some children with the idea that the attacks on the World Trade Center were carried out by, say, a remnant of the radical Weather Underground of the 1960s. Obviously children’s picture books need to present their material at an appropriate level for their readers and omit some of the nuances of books for adults. But many children’s authors have shown that this doesn’t have to involve spinning history in a way that slights or denies the role — good or bad — that different ethnic groups have played in it, whether they are Italian stonemasons or Islamic fundamentalists. Those authors are the ones who deserve awards from librarians and others. Worst line: Curlee’s account of Sept. 11, quoted in the review. Furthermore: Curlee www.curleeart.com won a Sibert Honor Award for his Brooklyn Bridge. He also wrote Ballpark: The Story of America’s Baseball Fields and other books for children. Rooms. Photographs by Derry Moore. Text by Carl Skoggard. Editor: Joseph Holtzman. 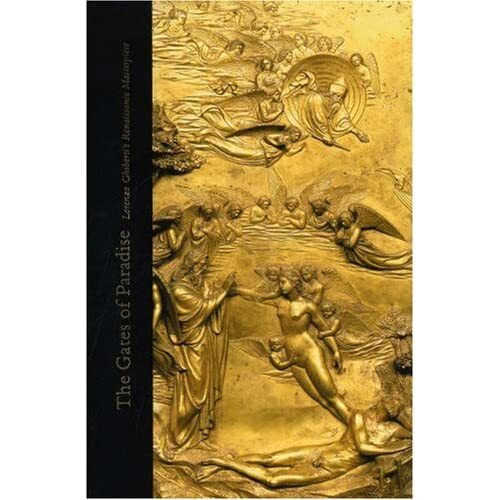 Rizzoli/Nest Books, 263 pp., $60. Books about interior design typically show rooms with character. Derry Moore’s Rooms shows rooms with characters. Rudolf Nurevey, Lady Diana Cooper, the Rev. Peter Gomes, the Duchesses of Devonshire and de Mouchy — all are among the aristocrats of birth or achievement whom the 12th Earl of Drogheda has photographed over three decades. Moore aims to capture, not romanticize, his subjects. So he looks beyond Nureyev’s deep cooper bathtub and the Sargent portrait of the granddaughters of an earlier Duchess of Devonshire that hangs in the Blue Drawing Room at Chatsworth. He offers glimpses of faded paint, threadbare silk, buckled wallpaper, tilted lampshades and a roll of toilet paper. Best line: Prince Tassilo von Fürstenberg’s former hunting bristles with so much taxidermy that Skoggard wonders if an Austro-Hungarian decorator tricked it up “with suitable remains”: “Recall Vladimir Putin’s astonishment when he suggested to his friend George Bush that the two of them saddle up for a ride around the ranch, only to be told that his host could not ride a horse at all.” This is one example of Skoggard’s refreshing willingness to confront a truth rarely acknowledged in books about interior design: Décor is always, in part, a commentary on politics. Worst line (tie); The chapter on the gardens of Powis Castle in Wales is written, preciously, from the point of view of its yew trees. And Skoggard’s usual good taste fails him in his justification of opulence of Indian rajas and maharajas: “Where poverty is widely shared and there is no shame in being poor, ostentation on part of the well-off few becomes public entertainment, a benefaction shared by all, legitimation of things as they happen to be.” Exactly how did the poor “share” in the opulence when, as the Wall Street Journal said in its June 23–24 edition, the “untouchables” (now known Dalits) “were barred from temples used by upper-caste Hindus and from upper-caste homes”? Did they “share” it the way the homeless in Manhattan share Donald Trump’s wealth by gazing at Trump Tower? Recommendation? This book could be a great gift for an architect, interior designer or traveler who loves visiting stately homes like Chatsworth. Consider reading also: Andrew Bush’s Bonnettstown: A House in Ireland (Abrams, 1989), a remarkable portrait of three elderly aristocrats during their final days in their decaying 18th century Georgian manor house in Ireland.